Jane Link from Florida was the lucky winner of the $1,000 book giveaway. She is pictured here with a couple of her book selection at the SCI convention in Las Vegas, NV, in February 2017. 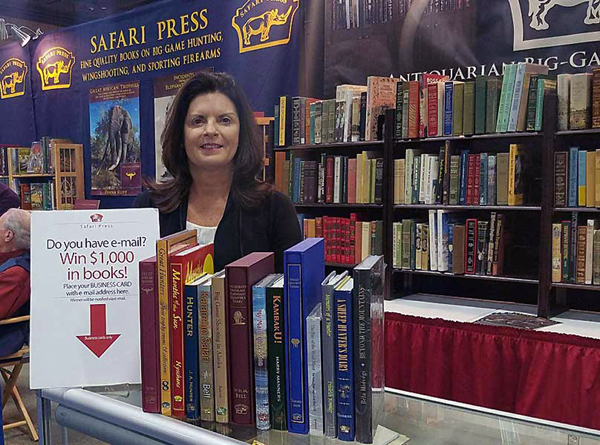 Safari Press is a publisher and seller of fine quality hunting and firearms books. We offer exceptional-quality hardcover books, audio books, and DVDs on big-game hunting, wingshooting, and sporting firearms. We have more than one million books in print. If it can be legally hunted, we have a book on it!